OK, I know you've got a lot of Blog territory to cover so I'm going to make this short and sweet!! Bloggers please leave a comment for me (international too!) 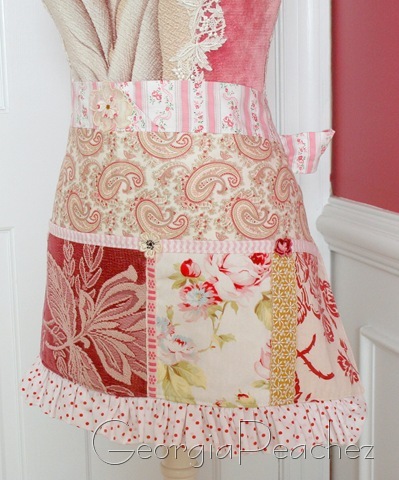 and you will be entered in my random drawing to win this Craft Diva Apron. 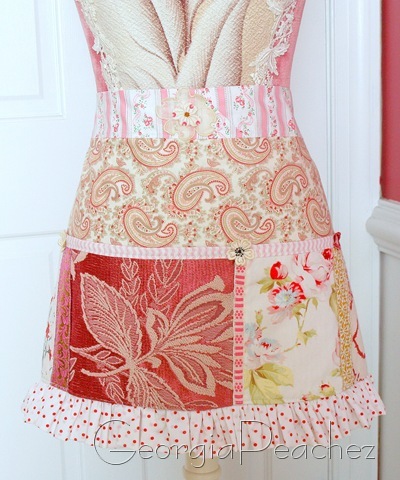 This apron is made by myself using many vintage and new fabrics, trims and appliques. There are four divided pockets for all your gear. You don't even need to be a craft diva to use this apron. You can just be an everyday diva, no problem. Just leave a comment and don't forget to leave a link to your blog so that I can get back in touch on Feburary 15th! I hope that you will come back to visit sometime. That's the whole point now isn't it! What an amazing giveaway! The apron is so awesome! 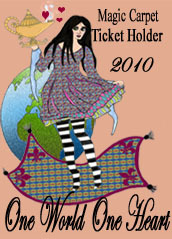 Here I am on my Magic Carpet visiting all the wonderful Blogs that are participating! Thank you for the opportunity to win your giveaway! If you have not done so already ride your Magic Carpet over to #136 and enter my giveaway! Lovely apron! Thanks for counting me in! If you have a chance, stop by to see my blog and enter my giveaway. #94 on the Magic Carpet. There’s still time!